I am excited for Final Fantasy XV’s story. Normally, we play as a revolutionary underdog who needs to take down some sort of big bad, and I’m sure that theme of good vs evil and triumphing over adversity will remain. However, this time, instead of focusing on romantic involvements and friendships between people of all backgrounds, the game is looking at traditionally overlooked bonds – those between male friends, and those between fathers and sons. During Gamescom, DualShockers sat down with game director Hajime Tabata in a group interview. It’s quite lengthy and covered a variety of topics, but I found the discussion about the father and the car to be particularly interesting. The backbone that underpins the story is that bond between father and son. And that’s represented very metaphorically through the presence of the car itself. 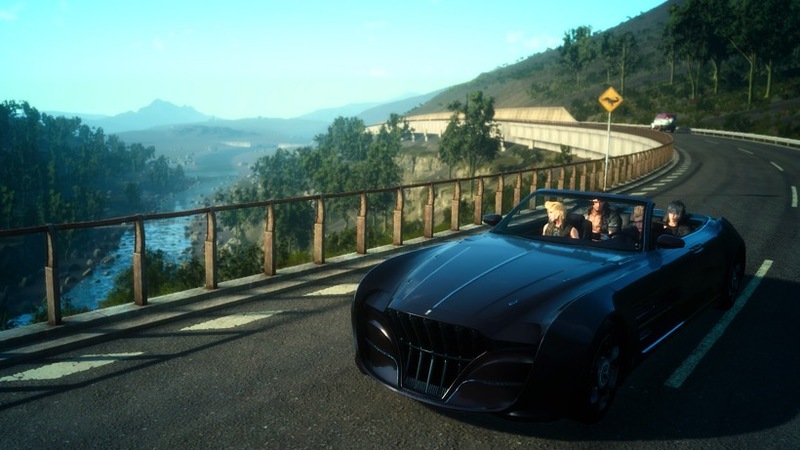 The car that they drive around the world on their journey is actually Noctis’ father’s car. That’s a metaphor for traveling with his father and his relationship with his father. This is such an interesting element and makes me want to go back and play the demo again. As I understand it, the demo is relatively early on in the game, perhaps a point when Noctis is feeling lost and adrift, particularly without a functional car. At this point in the game, he also believes his father and his fiancée to be dead. So that metaphor could be represented by the fact that the car is broken down and unavailable to Noctis? It’s an interesting element of the game and one that I’m really curious to see in action. So often, games add romance or companionship to games, but it’s rare to see emotional bonds from other relationships. I’m excited to see how they expand upon this and where the story takes us. Of course, if the bad guy is just a metaphor for the mother, we can all blame Freud, right? Previous article Win one of 500 credit booster codes in Warframe!